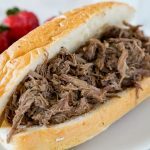 Barbecue Pulled Pork Sandwiches – slow cooker pulled pork that is tender, juicy and delicious. 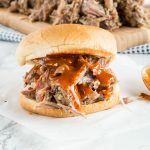 Cooked in a sweet and tangy barbecue sauce for the perfect bbq pulled pork sandwich! 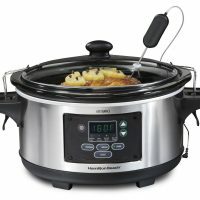 I love to use my crock pot for pork. Slow cooking it makes it super tender and perfect. 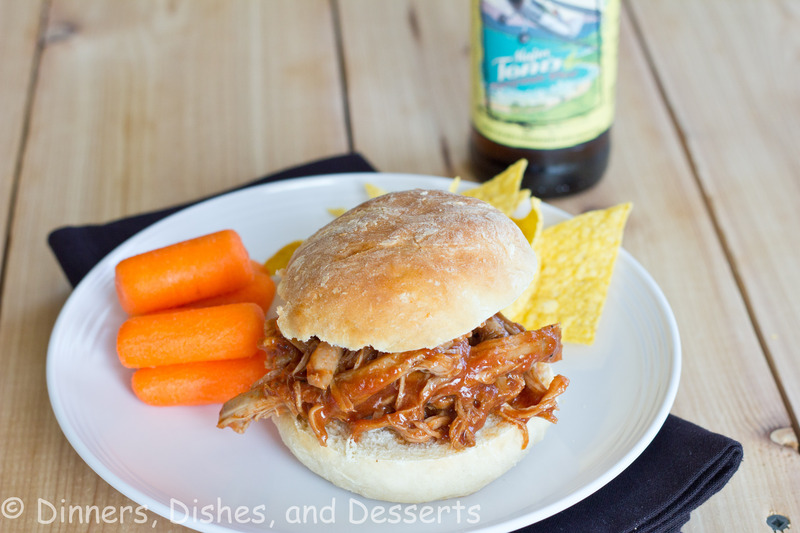 You can have pulled pork sandwiches in almost no work, which is great for busy weeknights! 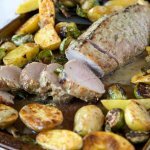 You can use pork shoulder or even pork tenderloin, which is what I used here. 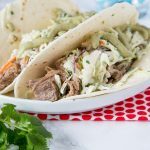 And if you love tender pork, these Pork Tacos from the Instant Pot are over the top amazing. I have been making this bbq pulled pork for years. I found the recipe in a cookbook shortly after I got married, and we have been using it ever since. 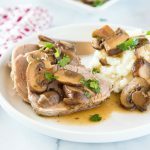 You make a homemade sauce right in the crock pot for a tasty homemade meal any night of the week. This slow cooker pulled pork is sweet, tangy and exactly what your weeknights need. 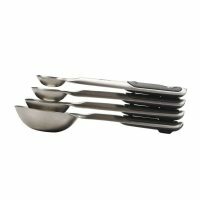 These are great to turn into pulled pork sliders if you are serving them for a party. Just put on little buns and you can serve a crowd with a bunch of other appetizers like Baked Mexican Cheese Dip. 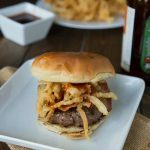 If you want to make this bbq pulled pork even easier, you could use bottled sauce in with your pork. But it literally takes about 3 minutes to measure and mix the ingredients for the sauce and pour it over the pork. 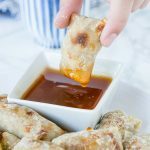 So I think it is worth the time to make the homemade sweet and tangy sauce. There is just something about juicy pulled pork that my family loves! Pretty much pork of any kind we are fans of. It can be a crispy pork cutlet or just a plain pork chops. As long as it is cooked right, it is all delicious! 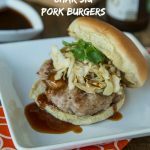 So if you are looking for a new bbq pulled pork recipe, look no further! This has been our go to for almost 15 years, and it will continue to be our favorite. 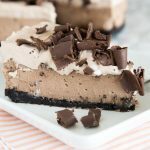 It is super easy to make and everyone loves it! 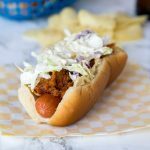 Barbecue Pulled Pork Sandwiches - slow cooker pulled pork that is tender, juicy and delicious. 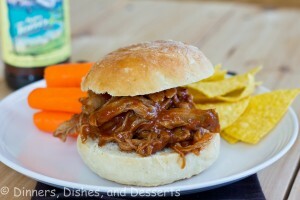 Cooked in a sweet and tangy barbecue sauce for the perfect bbq pulled pork sandwich! 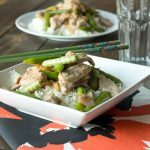 Mix everything but the pork together in the bottom of the crock pot. 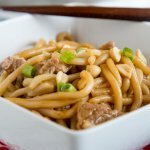 Place pork in, and spoon sauce over the top. Cook on low for 5 to 6 hours. Using 2 forks shred the meat. I adore pulled meat sandwiches. Those look fantastic. This looks absolutely delicious! There is nothing like a good pulled pork sandwich and perfect timing for super bowl. Great post! This looks wonderful! So perfect for these cold winter days. Yum! Sounds great!…. Made your own buns?! I can be up for adoption. 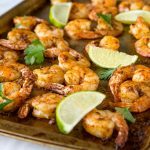 Those look killer–and would definitely be popular with the super bowl crowd! Pulled pork!! How did youknow that this is my favorite! Ooh, I want to take a huge bite out of that sammie! 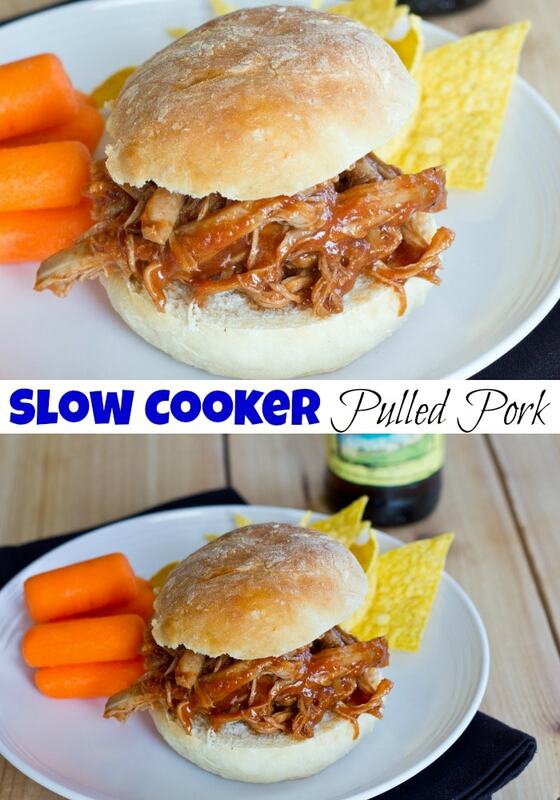 We are huge fans of pulled pork, this sounds awesome! Main dishes are a must for the super bowl in my opinion anyway. 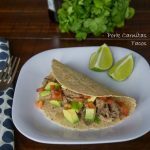 Pulled pork is perfect especially the crock pot variety! Love Love Love pulled pork. We have a smoker and it is so awesome done in that. These look great! I love pulled pork, beef, chicken…well, anything pulled!! 😉 Mmmmm! This looks fab! I love a good pulled pork sandwhich. The sauce that you made to go with sounds so much better than any bottled one! Oooh I love pulled pork sandwiches. This looks so good erin! This looks great, Erin! I love a good pulled pork sandwich! 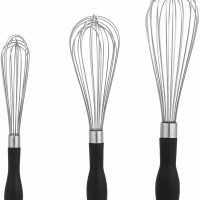 Mmmm, these look fantastic! 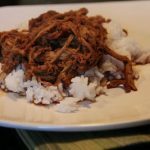 I used to be suspicious of pulled pork, but am I glad I tried it. Yummy! Looks like a great recipe! I have been dying for a pulled pork sandwich! this looks great! Ohh these look SO good! They make me want it to be summer right now!